For 38 years, the Gulf Information Technology Exhibition (GITEX) has been a platform for the world’s most innovative and forward-thinking tech specialists to gather and share their visions for the future. 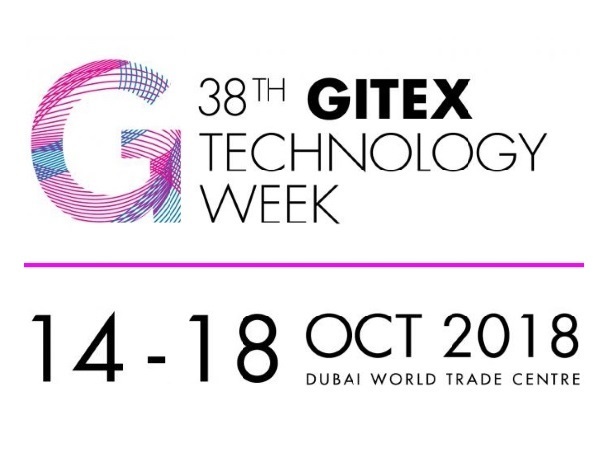 Now a truly global event and rebranded as the GITEX Technology Week, this year’s extravaganza is taking place at the Dubai World Trade Centre from 14th to 18th October and promises to be the biggest and best yet. Technology in all its wonderful variety is the topic for exhibitions, keynote speeches, workshops and seminars, from the latest developments in the devices we can’t live without to the latest concepts that will define the lifestyles and working practices of tomorrow. At the centre of it all, as societies around the world become increasingly dynamic and integrated, sits mobile. No longer just a means for people to make calls and text each other on the move, mobile technology is taking centre stage as a key enabler of the future. So big a topic is 5G that GITEX organisers have dedicated an entire day to it – the Huawei Innovation Day on October 15th. Chinese mobile giant Huawei is playing a leading role internationally developing the network technology that will enable 5G rollout, and is therefore ideally placed to guide delegates through the impact 5th generation cellular wireless will have on commerce, on industry, on public administration and on everyday patterns of behaviour and social interaction. With 5G, mobile technology will realise the dream of ‘always on’ connectivity with ultra-high speed, high capacity broadband that many believe will eclipse and replace fibre. 5G will herald an enormous increase in the number and types of connected devices, not just smartphones and tablets but laptops, wearables, cars, home appliances, industrial instruments and much, much more, seeing the Internet of Things mature as smart technologies become an everyday fact of life. With apple announcing that its latest iPhone models, the iPhone Xs and iPhone Xs Max, will feature an embedded SIM (eSIM) alongside a traditional nano SIM, the mobile industry takes a step closer to a fundamental technological shift. Many believe that the eSIM will signal an end to removable SIMs altogether – instead of consumers having to physically buy and insert a new SIM card to switch provider and call/data plans, they can simply have their service re-provisioned online using their phone’s in-built eSIM. To some, eSIM technology represents a threat to traditional mobile vendors as it removes their main stake in the mobile ecosystem – the need for SIM cards to be bought and sold in order to enable device connection. To others, eSIM removes a cumbersome hurdle that holds mobile technology back. Without the need for physical SIMs, consumers will get far greater freedom to pick and choose the products and services that suit them, device vendors and mobile operators will be able to innovate in the services they offer through cloud-based eSIM applications. Most of all, eSIM, which is already an established feature of the connected car market, will make it easier and more convenient to provision mobile connectivity into a much wider range of devices, playing another key role in the evolution of IoT. All of these topic and more will be discussed in depth at GITEX 2018. To find out more, visit www.gitex.com.